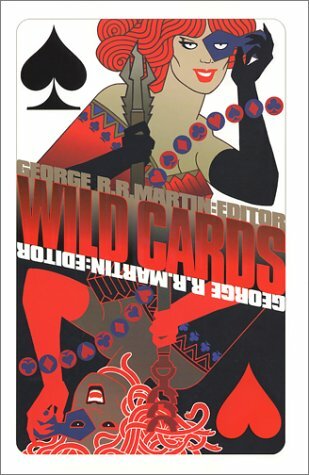 The long wait is over for Wild Cards fans. DEUCES DOWN, the first new Wild Cards book in seven years, was released this month by iBooks, in hardcover and ebook versions. DEUCES DOWN features seven brand new tales from the word processors of John J. Miller, Walton Simons, Melinda M. Snodgrass, Stephen Leigh, Michael Cassutt, Kevin Andrew Murphy, and newcomer Daniel Abraham, covering thirty years of secret history. This time around the focus is on the forgotten men (and women) of the Wild Cards universe, the deuces — aces whose “super” powers are minor, trivial, sometimes even silly. Long time favorites like Demise, Bradley Finn, the Sleeper, Digger Downs, and the Great Ape return, to share the spotlight with a motley cast of unforgettable deuces, including Chuckles, Puddle Man, Heavy Lifter, His Nibs, the Myth Patrol, and Father Henry Obst. DEUCES DOWN features cover art and design by Steranko, and ten original interior illustrations by Tim Truman. It was edited by GRRM with the assistance of Melinda M. Snodgrass. Posted in Book News, News, Wild Cards News.